What is a Window Dressing? “Window dressing” is commonly used to refer to the way the window of a retail business is “dressed” to make the goods and services sold look more appealing. However, when it comes to the finance side of the business world, the term means something slightly different. 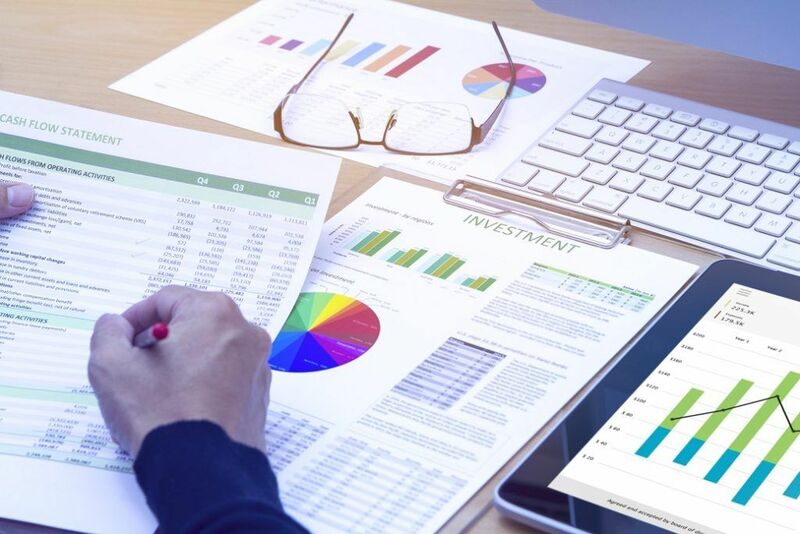 In finance, window dressing refers to the efforts taken to make the financial statementsThree Financial StatementsThe three financial statements are the income statement, the balance sheet, and the statement of cash flows. These three core statements are intricately linked to each other and this guide will explain how they all fit together. By following the steps below you'll be able to connect the three statements on your own. of a business look better before they are publicly released. Window dressing, for a company, is important because every business wants their financial information to look as appealing as possible. It is what attracts new business opportunities, investorsPrivate Equity vs Venture Capital, Angel/Seed InvestorsCompare private equity vs venture capital vs angel and seed investors in terms of risk, stage of business, size & type of investment, metrics, management. This guide provides a detailed comparison of private equity vs venture capital vs angel and seed investors. It's easy to confuse the three classes of investors, and even consumers. The downside to window dressing is that, on the whole, it’s looked at with skepticism. Window dressing comes with at least a slightly negative connotation. It is because it can – and sometimes does – involve making unethical or even illegal changes to numbers, charts, timelines, orders, etc., in order to make the financial picture of a company look the most appealing to outsiders. Company ABC is in the process of generating its financial reports for the end of the reporting periodFiscal Year (FY)A fiscal year (FY) is a 12 month or 52 week period of time used by governments and businesses for accounting purposes to formulate annual financial reports. A Fiscal Year (FY) that does not necessarily follow the calendar year. It may be a period such as October 1, 2009 – September 30, 2010.. It is looking to make the company appear as attractive as possible in order to draw in new shareholders and investors. To this end, Company ABC window dresses by suddenly “acquiring” and holding substantial cash in order to make their company look more liquid – easily able to make loan payments, hand out dividends, or use their substantial cash flow to invest in expanding the business. The company also tweaks its sales projections, stating it is significantly higher than they probably are in reality. The ultimate goal is to change anything they possibly can to drive their stock price higher and make potential investors more interested. Window dressing doesn’t typically involve making genuinely false representations that will violate the law. It’s usually more of a matter of bending but not breaking the truth. For example, Company ABC can make itself appear flush with cash flowCash FlowCash Flow (CF) is the increase or decrease in the amount of money a business, institution, or individual has. In finance, the term is used to describe the amount of cash (currency) that is generated or consumed in a given time period. There are many types of CF by selling a major asset just prior to the end of the accounting period. What they may be neglecting to reveal to investors is the fact that they actually need the asset to operate, and will, therefore, be buying it right back in the next accounting period. Also, the company’s future sales projections may not be technically false – just a matter of selecting the most optimistic among many estimates arrived at through using several different projection metrics. Window dressing is often performed heavily with mutual fundsMutual FundsA mutual fund is a pool of money collected from many investors for the purpose of investing in stocks, bonds, or other securities. Mutual funds are owned by a group of investors and managed by professionals. Learn about the various types of fund, how they work, and benefits and tradeoffs of investing in them. At the end of a reporting or financial period, mutual funds often quickly sell stocks in their portfolio that are not performing well. The money generated from the sales is then used in a quick turnaround to buy shares of stocks that are in the high-performance range. The end-of-period “rebalancing” of the fund’s assets is designed to make the fund appear better than it actually is at selecting winning stocks. Through window dressing, mutual fund owners and managers are making the fund look more promising. Potential investors see the fund full of high-performing stocks – and don’t see the poor-performing stocks that were recently dumped – and are, thus, much more likely to invest in the fund. Such a practice is the primary goal of window dressing – to attract investors and add more income to the investment pool. Window dressing is really just a short-term strategy used by companies and funds to make their financial reports and portfolios look more appealing to clients, consumers, and investors. The goal is to attract more people and more money, which hopefully boosts the bottom line for the next reporting period.